While Russian combat submarines such as the Borei-class and Yasen-class vessels are well-known, the Russian Navy also possesses a number of unarmed subs that were previously top-secret. Designed for carrying out specific undersea tasks, these vessels are manned by highly-trained divers. RBTH looks at four of these mysterious underwater craft. Everyone is familiar with Russian combat submarines: the formidable Borei-class carrying out military patrols under the Arctic ice, the multi-purpose Yasen-class, capable of even attacking ground targets, and the silent Improved Kilo-class (Varshavyanka), able to detect the enemy at a distance of hundreds of kilometers. However, the Russian fleet also has unarmed submarines, the existence of which was previously kept under a veil of secrecy. These are manned by divers with at least five years’ experience, specially selected after passing a medical examination and evaluation based on the same requirements as apply to cosmonauts. Special purpose submarines ​​are part of the Chief Directorate of Deep-Sea Research (CDDR), which is a branch of the Ministry of Defense. It includes submarines that serve as Base Stations (BS) and Atomic Deep-Water Stations (ADS). The submarines are equipped with robotic technologies, manipulators and other complexes. These are used not just for reconnaissance and scientific research, but also to transport combat divers. Project 1851 is the further development of Project 1910. 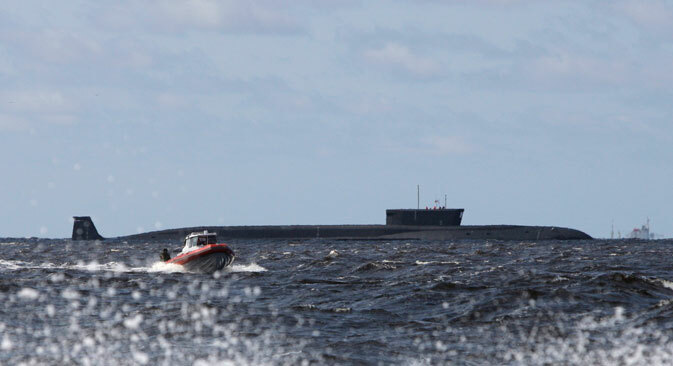 Designated purposes for these submarines include conducting special reconnaissance operations, jamming activities on the patrol routes of Russian Navy submarines, lifting objects from the bottom of the sea and from sunken vessels, as well as performing scientific and technical tasks. Due to their small size, these can be used for sabotage operations in various areas of the Earth’s oceans. Project 10831 is a further development of the deep-water station projects 1851 and 1910. Only one submarine (AS-12) has been built under this project, and is considered one of the most unique and secret submarines operated by the Russian Navy. It received its name because of its special design features – the vessel is made of titanium spheres (balls), which follow each other, like the limbs of the Soviet cartoon character Losharik, after whom the submarine was named by its whimsical shipbuilders. The Losharik’s characteristics and capabilities are shrouded in mystery, but we know that it carries special equipment to perform work at great depths, and can “penetrate” the deep-water communications of a potential enemy or sever deep underwater cables, depriving the enemy of its communications lines. It can also retrieve secret equipment from the depths of the seas and oceans. In the fall of 2012, alongside its mother ship, the Nuclear-powered Orenburg, this ADS participated in the Arctic 2012 Expedition, during which it drilled a well to a depth of 2,500-3,500 meters (1.25-1.85 miles) and retrieved soil samples. In January 2015, the Losharik became a Russian internet sensation after bloggers discovered pictures of the submarine in the Top Gear Russia magazine. Journalists from the motoring magazine, while conducting a test drive of the latest car models, managed to photograph the Losharik slowly moving along the shore, unaware that this was a secret project. Oddly, although the photo was taken back in 2007, this curious fact only came to light recently. The nuclear-powered BS-136 Orenburg is designed for the transportation of deep-water stations to their operational zones. The smaller submarine station “swims” into this vessel, which then delivers it to the area where special operations need to be conducted. This vessel was developed based on a Project 667BDR (Delta-III) submarine. In 2002, it was converted into Project 09786. During the conversion, the missile compartment was cut from the submarine, and replaced by a compartment for transporting atomic deep-water stations with a comfortable living section.